A great way to bring these lovely creatures into your home . Enhance your home, complement your table display's walls and furniture wonderful to display anywhere!! These are part of our new range and are, self adhesive, so as they can be placed anywhere on walls, ceilings, furniture, headboards, fire surrounds, vases, candles, fairy lights, voile panels, mirrors, windows, lampshades, the list is endless!! Lovely for Weddings or children's bedrooms !!! they make a spectacular display. !!! All our butterflies are durable and fade resistant !! 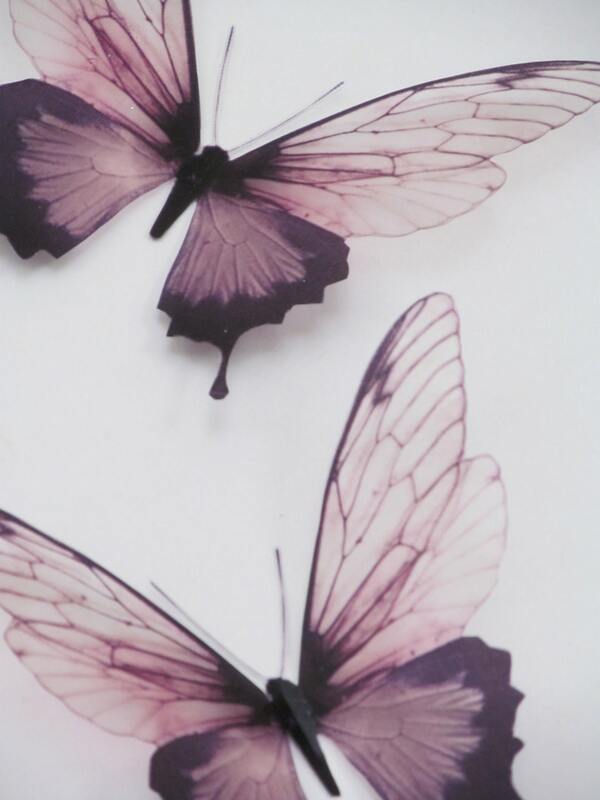 Please note, all our butterflies, are created from a fine 100 UM acetate, they are then carefully and individually hand cut, and sealed, to ensure they last forever. The pictures in the description, are a true representation of how they look when attached to your desired surface, if for any reason you are not 100% happy with them, we will offer a full refund. These butterflies are going to look great at the shower. These are beautiful. I have used them to complete and add a 3D effect to a wall mural I have been creating. Thank you.